Note: I originally posted this post to the photoblog that I keep about my kids, mostly for the benefit of their grandparents. I wrote it on 17 Jul 2011, right after the announcement that NASA was discontinuing the space shuttle program. Today, the 30th anniversary of Challenger disaster, seems to me like a good time to repost it publicly. I am genuinely sad to see the end of the Space Shuttle era. I’m sad to see the Shuttle go, because the Shuttle has provided several truly iconic moments of my life. 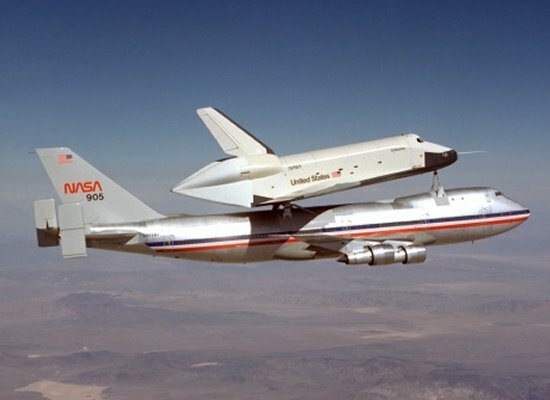 I have an image of the Enterprise riding on the back of a 747 burned into my brain, because I was so excited when the Space Shuttle was first rolled out, and almost equally excited that the first one was named after the USS Enterprise. I remember the first Shuttle launch I saw, on TV, and how completely floored I was that this was a reusable vehicle… unlike all previous rockets, it could go into space again and again… it was basically a car for space. In junior high school, I did a research project on the Shuttle, and learned everything my 12 year old mind could absorb about rocketry and space plumbing. The Space Shuttle also provided one of the most darkly iconic moments of my life. For my generation, the Challenger explosion was our Kennedy assassination moment: everyone remembers exactly where they were when that happened. I was in Mrs. Fisher’s history class, a sophomore in high school, when the principal came on the school intercom to tell us all what had happened. Another image that’s burned into my brain is that horrible two-pronged explosion. I also remember, prior to that, how great it was that a school teacher, a civilian, was going up on that Shuttle mission. It gave me — and other geeky kids like me — hope that eventually, maybe, ordinary people like me would be able to go into space. 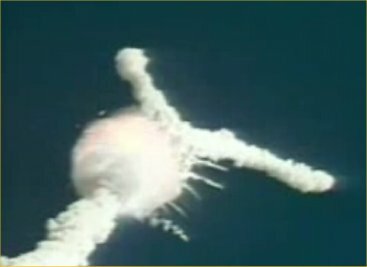 Hope that the Challenger explosion completely dashed. In retrospect, the Challenger explosion was one of the most soul-crushing moments of my life. Not really the event itself, I suppose, but the implications and the aftermath. That hope was restored, in some small way, when Dennis Tito bought a ride on Soyuz in 2001. If the über-rich can buy their way into space, I figured, then maybe I’ll actually live to see the day when mere mortals can purchase a ticket to space. But I also think it’s important to note that it was the Soyuz on which Tito bought a ride… the Russian space program, not the US. Many lament the shuttle era's end. But that's misplaced sentiment. Lament instead the absence of an era to replace it. I’ll miss the Space Shuttle… but I’m even more saddened by the fact that the United States has completely failed to step up to develop any follow-up program. Russia and China still go into space, just not us. I’m sad because my daughters will grow up in a country without a moonshot. Sure, I was born after the moonshot, but I think some of that zeitgeist somehow carried over, and infected my childhood. Certainly my parents got me hooked on Star Trek from a very early age. But there was more to it than that. Star Trek was the gateway drug, so to speak, that led to harder science fiction. And science fiction led to a sense of possibility for the human race that has completely failed to be realized by, well, really anything in my lifetime, with the possible exception of the Mars Rovers. The moonshot, from the perspective of someone born after it, looks like this: Beloved leader says, We will do this incredibly beautiful, heroic, difficult thing, because it’s the right thing to do and our future depends on it, and an entire nation rallies and does it. (Ok, yes, as an adult I recognize that it was politically expedient; it was a way to beat the Soviet Union at a game they were, up to that point, winning; it was a way to jump-start scientific, technical, and economic development, as the Manhattan Project had a quarter of a century before. But still.) The moonshot, from the perspective of someone who grew up deep in the heart of darkest 1980s, demonstrates that we’re better than that. But you’d never know it to look at the history of the past 40 years. And that’s why I’m sad to see the Shuttle go: because it’s the latest chapter in a decades-long slide into national navel-gazing. As I’m writing this, I’m realizing that I sound like I expect all Big Science to be government-led. Which, as I think about it, I don’t actually believe. There have been plenty of hugely important and even potentially species-changing scientific and technological developments since the moonshot: The development of the Internet. DNA sequencing and the Human Genome Project. Machine learning and the development of semi-autonomous robots. 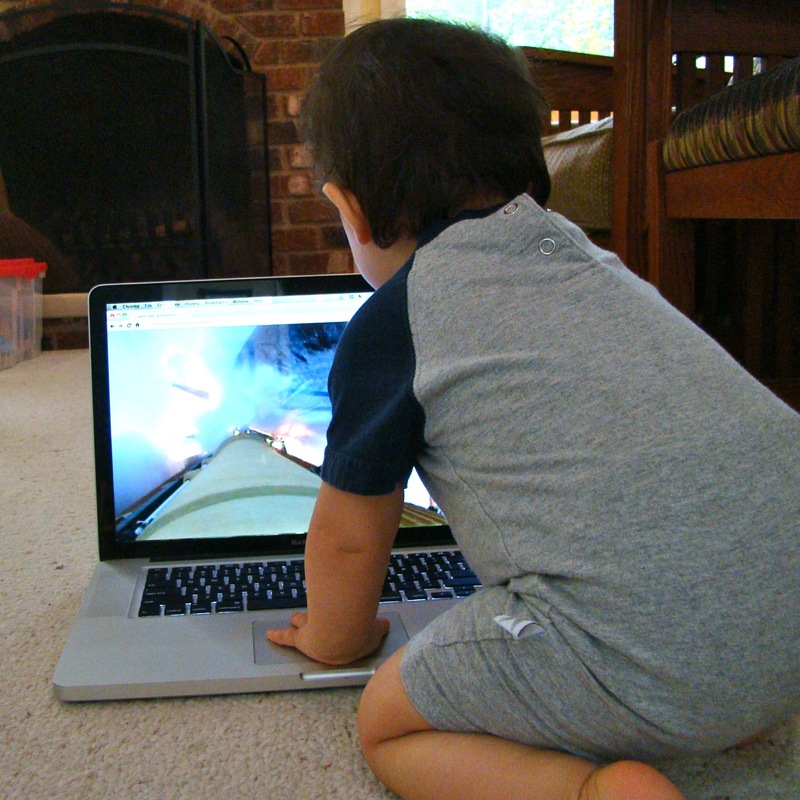 User interfaces for computers that are controlled by thinking. Given the events of the Arab Spring, I’m wondering if social media isn’t equally huge. But notice that all of these are introspective: the Human Genome Project is about understanding ourselves. The Internet, and especially social media, is about making connections between ourselves and our tribe(s). Robotics is about replicating ourselves. Now, don’t get me wrong, these are legitimate and admirable goals. But what they’re not is exploratory or outward-looking. These are advances of the Self, not advances towards the Other. Despite Gene Roddenbury, space is not the final frontier: the interior is a frontier perhaps just as unknown as the exterior. But we need both. For an individual to develop a healthy psyche, one needs both, and I believe the same is true for the species as a whole. All I can say is, I hope that the next moonshot-equivalent happens within the girls’ lifetimes. A trip to Mars, a return to the moon to set up a permanent base. I’d even settle for commercial spaceflight. But if the girls live their entire lives on an Earth that’s consumed with what’s happening on the surface, and not looking up and out, that will not only be very sad, it will be a horrible failure for Homo sapiens.